Tomorrow is #GivingTuesday and every dollar you donate to Breast Cancer Action will be DOUBLED! 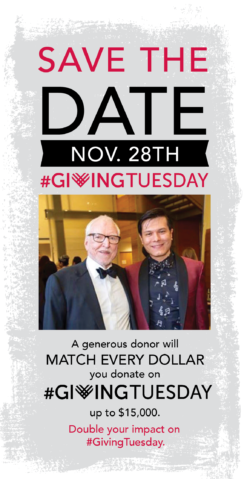 Thanks to the generosity of long-time donor Ambassador James Hormel and his husband Michael Nguyen, each dollar you donate will be matched up to $15,000. Jim and Michael are proud to offer their annual contribution as a dollar-for-dollar match and encourage others to join them in supporting Breast Cancer Action’s work.We’re a small organization with an outsized impact that never takes money from companies that profit from or contribute to cancer. And we raise a large portion of our funding from individuals like YOU during this time of year. This is a great opportunity to double the impact of your donation. With so much on the line right now, Breast Cancer Action’s role as an independent cancer activist organization and rapid-response watchdog has never been more urgently needed. Our work is centered on breast cancer, but our impact goes far beyond the disease. We work at the intersection of feminism, environmental justice, and health activism. 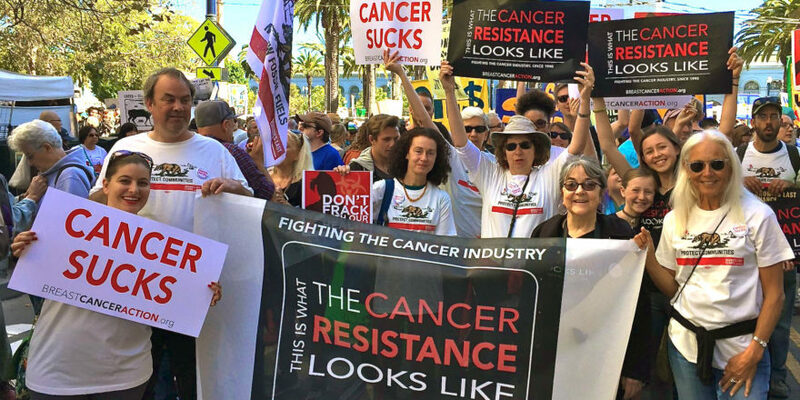 And that’s why we’re an essential part of the larger movement working to address the threats from the current administration that’s targeting vulnerable communities, challenging established science, and bolstering corporate control of our regulatory protection agencies. Jim and Michael believe in and support Breast Cancer Action’s work—which is why they’ve chosen to leverage their annual contribution to make your donation go even further. This means your #GivingTuesday gift will have double the impact. The current threats to women’s health and well-being are real and immediate. Your donation will make sure we have the resources we need at this critical moment. In fact, you can donate right now and your gift will be doubled. Thanks so much for supporting our work to achieve health justice for all women at risk of and living with breast cancer.